While cell phones are often seen as a nuisance or distraction, they can also be invaluable tools in the business world for maintaining communication, managing a schedule and building time management skills. For people with cognitive disabilities, smartphones can bridge a crucial gap in skills so that they don’t become barriers to employment or independence. Cues that are normally being provided by family members, co-workers, or a job coach can often be programmed on the device – tasks such as getting ready for work, taking medication, clocking in or out and returning from breaks can be set up as reminders on a smartphone. At work, learning new procedures can be supported with the use of pictures or video. These are just a few of the many ways a smartphone can be used as assistive technology. To get the most out of smartphone technology, an individualized approach best, with input from team members including the individual, job coach, employer, family, and AT Specialist. This is the second in a series of articles on assistive technology covering useful apps for getting and staying organized and job-ready. This article is focused on apps that assist with mental health and anxiety. 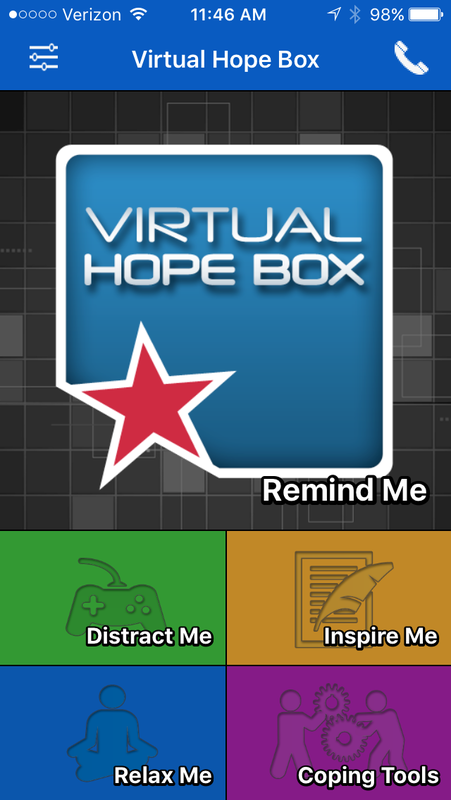 Description: The Virtual Hope Box (VHB) is a smartphone application designed for use by patients and their behavioral health providers as an accessory to treatment. The VHB contains simple tools to help patients with coping, relaxation, distraction, and positive thinking. Patients and providers can work together to personalize the VHB content on the patient's own smartphone according to the patient's specific needs. The patient can then use the VHB away from clinic, continuing to add or change content as needed. Work Related Tips: Individuals can use this app before, during, or after work if feeling overwhelmed. During work, an employee could use this on their break, or even step away into a restroom or comfortable space to go through the activities (guided breathing, muscle relaxation, guided meditation, games, etc.) for several minutes. There’s also inspirational quotes in case the person needs a quick “pick me up” to help them through their stressful time. 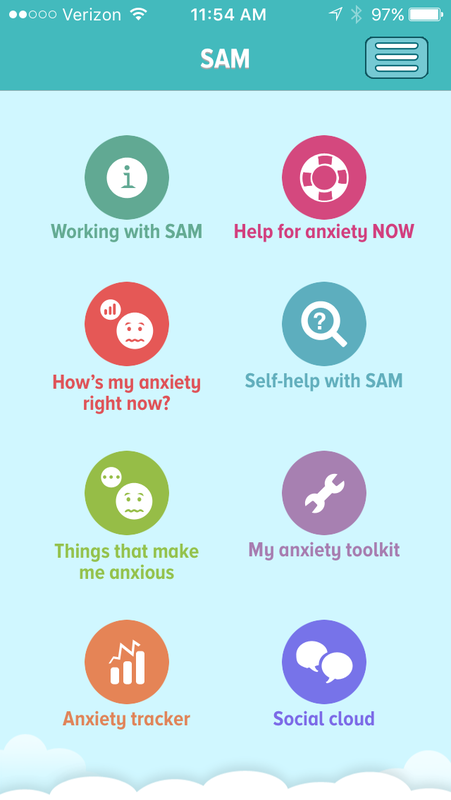 Description: SAM is a friendly app that offers a range of self-help methods for people who are serious about learning to manage their anxiety. SAM has been developed by a university team of psychologists, computer scientists and student users. 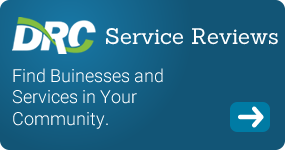 Established methods of self-help have been combined with high standards of usability to provide an engaging, flexible, and practical resource. Work Related Tips: Individuals can also use this app before, during, or after work if feeling anxious using the “Help for Anxiety Now” option which presents various stress-relieving activities to go through (breathing, pictures, etc.). Individuals are also able to measure their anxiety levels in the moment, track their anxiety, increase awareness of anxiety (what it is, symptoms, etc. ), among other features. This app presents strong visuals and helpful tips to overcome and manage anxiety at home, in the workplace, or life in general.